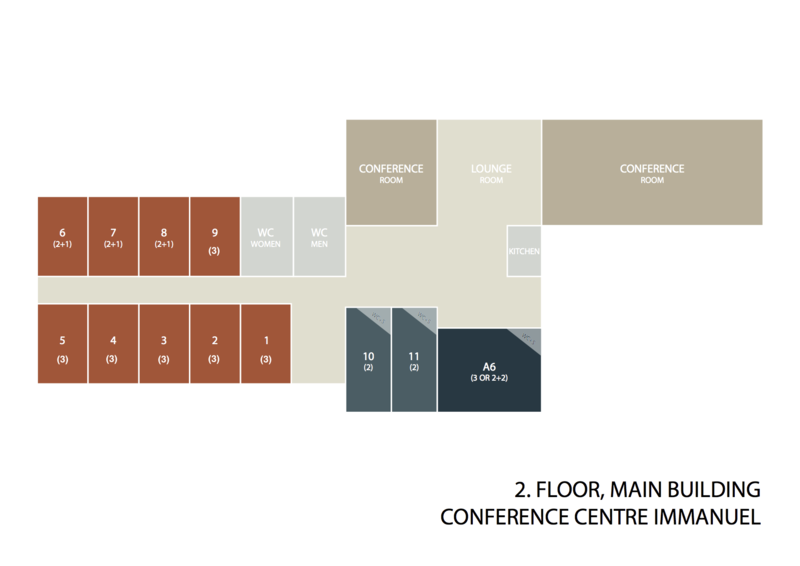 Here you have an overview of the rooms available in the main building. In each room you will find the maximum number of people listed in brackets. In the case where you have two numbers, for example (3 or 2+2) it means that there is room for 3 adults or two adults with 2 (smaller) children.